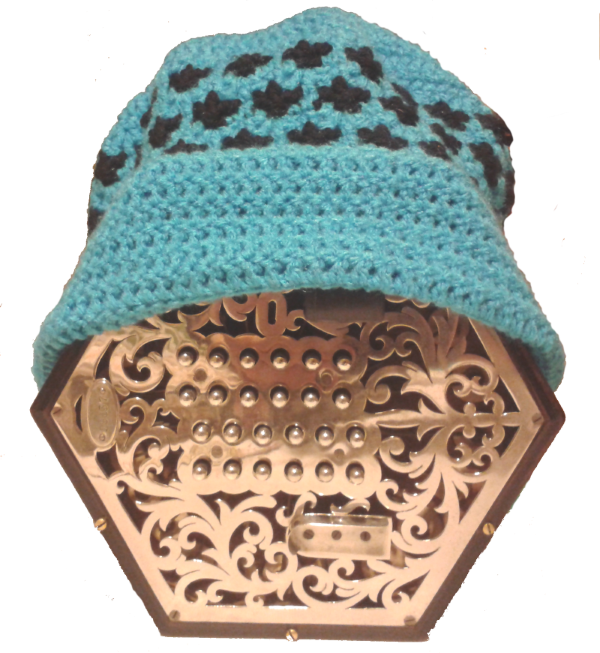 One of the main reasons that Kettle Bridge Concertinas was formed was to encourage new players to take up the concertina. Well, I am pleased to report that we currently have a very enthusiastic set of beginners who are starting to appreciate the joys of playing our favourite instrument. Our learners have a great variety of previous musical experience ranging from accomplished musicians who want to try a new instrument to those who could not read music at all but fancy a new challenge. Our beginners groups cater for all levels of experience and ability, and teach all the necessary technical skills to get to grips with a concertina. The sessions are always great fun and a good way to meet new people while developing a new skill. So if you fancy giving it a go, just visit our Contact Page and drop us an email. We would love to hear from you. We are on Facebook. Click here to see all the latest news and please "Like" us while you are there. We always welcome people getting in touch with us, whether to find out more about us, learning the concertina or pretty much anything! 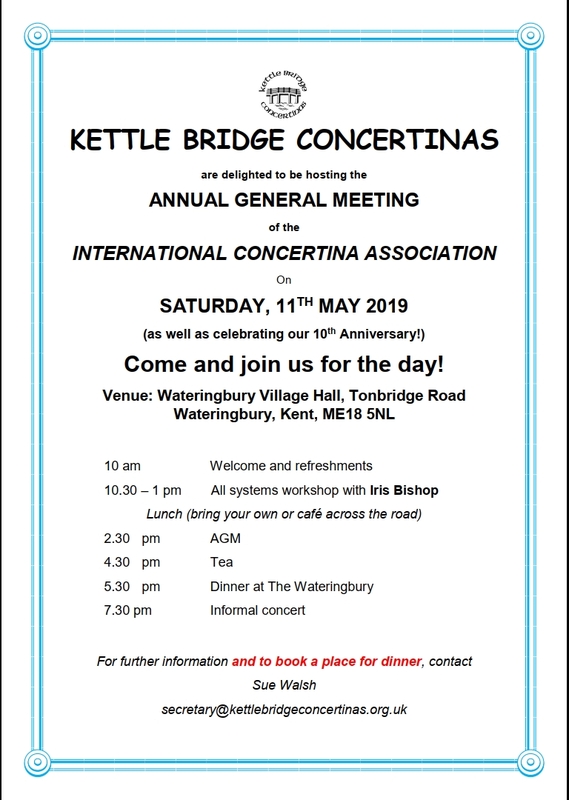 We are very pleased to be hosting the International Concertina Association AGM. The venue is Wateringbury Village Hall, Tonbridge Road, Wateringbury, Kent ME18 5NL, which is 5 miles west of Maidstone. The event starts at 10:00 a.m. and includes a workshop with Iris Bishop and an informal concert in the evening. The Swaledale Squeeze weekend workshop will be held, as usual, at Grinton Lodge Youth Hostel in Richmond, North Yorkshire. Click here for more details. The SqueezEast Concertina Band Day will be hosted in the magnificent ballroom at Stamford Arts Centre, Lincolnshire. Visit their website for all the latest information. 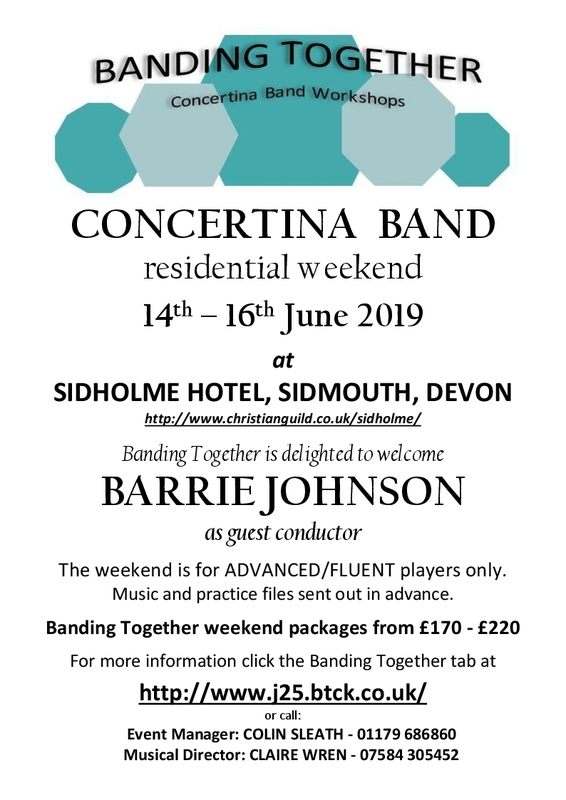 J25 Concertina Band are holding their annual workshop at Sidholme Hotel, Sidmouth, Devon. 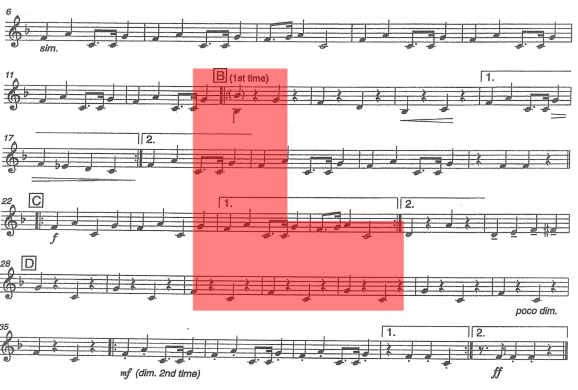 It is aimed at competent and advanced players who enjoy band playing. This year's guest conductor is Barrie Johnson. 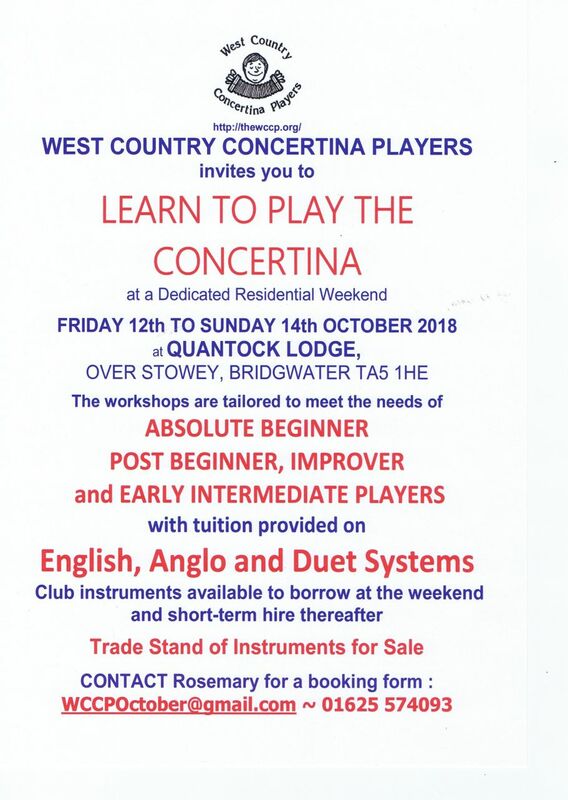 The West Country Concertina Players Autumn Workshop is at Quantock Lodge, Over Stowey, Somerset. This is suited to players of a range of abilities from absolute beginners to those who have reached an intermediate level. 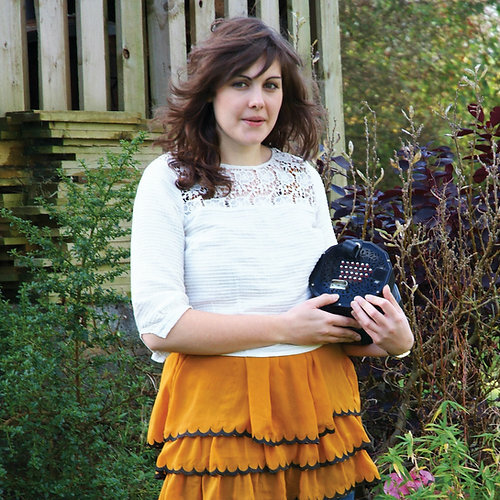 The well-known English concertina player and teacher Alex Wade will be holding an all-day workshop for our members. This will be a great opportunity for us to learn from one of the leading experts in the concertina world.